Most of these infections are fairly minor. In rare cases, however, they can lead to extremely dangerous complications, like sepsis. They can be a major drain on healthcare spending, too — healthcare related GI tract infections can cost about $12,000 per case. All the same, colonoscopies are an essential procedure. They’re critical for ruling out colon cancer. 15 million Americans get one every year, and that rate’s not likely to slow down. While MPIRICA does not currently provide quality data about colonoscopies, this case of colonoscopy quality variance is just too instructive to pass up. If you’re reading this article, you have step 1 halfway accomplished. Experts agree that whenever you’re considering any treatment, you should carefully assess if it’s right for you. Half of that is understanding the risks involved. Hutfless’s study uncovered the general risk for colonoscopies, but it’s important not to stop there. Your health going into a procedure is a factor you shouldn’t ignore. Do you have illnesses that might make you more prone to disease? Is your immune system resilient enough to fight off a new infection? These are questions you should ask before booking an appointment. The other half of deciding on a procedure is figuring out how much it might benefit you. It’s worth asking detailed questions. Doctors and surgeons continue to push for millions of unnecessary procedures every year. In the case of colonoscopies, the general consensus is that the benefits of early detection outweigh the risks. Most of the infections that could come from one are treatable and short-lived. And a colonoscopy could save your life if it spots a cancerous polyp. But with other procedures, the benefits aren’t so obvious. Make sure you understand exactly what a procedure could do for you before you commit to getting one. The decisions don’t stop there. Patients can do more to take their safety into their own hands. This could mean posing some potentially awkward questions. Asking a provider, for instance, about how they clean their colonoscopy scopes might intimidate some patients. But Hutfless recommends that patients do it anyway. “The more people ask, the more cleanliness will improve,” she says. She also points out how no reputable provider would ever shy away from questions about their infection rates, their levels of experience, or any other part of their care process. One of the most illuminating parts of Hutfless’s study: the risk for colonoscopies varied enormously between facilities. For every 1,000 colonoscopies performed, in fact, the number of infections ranged from 115 all the way down to zero, depending on where you go. Wouldn’t you rather go to one one of the ‘zero’ facilities? That’s the difference that a high-quality provider can make. Hutfless’s study found that free-standing Ambulatory Surgical Centers, with lots of colonoscopy experience, were the best performers in the bunch. If you need to get a colonoscopy, it’s worth your time to find one. For other procedures, though, the criteria for quality might not be so clear. It can be confusing to pick who the best providers might be. Hutfless’s study gives you a model to follow. 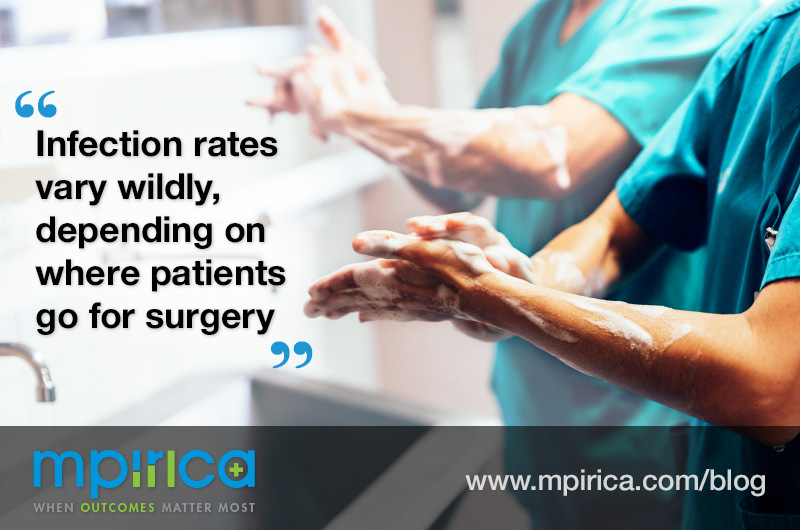 While you’re shopping for providers, use objective outcomes data, like rates of mortality, volumes of procedures, rates of infection, or lengths-of-stay, to guide your choice. There’s always risk involved in medicine. But by paying attention to the data, patients — and anybody responsible for them — can keep that risk to a minimum.